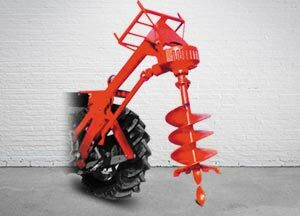 Post Hole Digger is a PTO driven machine that digs holes in rows on equal distances mechanically and economically. It is best suited for tree plantation. It can Also be used for making for electric poles and farm hedges. It can dig about 90 cm deep hole even diameter in just 30 seconds. By detaching Augers, it can be used as a small crane.